There’s no better time to shine than during the holidays, when Christmas parties and reunions abound. As the holidays roll in, all sorts of beauty trends emerge, which range from the pretty to outrageous to downright crazy. Here are some of the latest makeup trends to take over the social media and runways. However, whether you’ll love them or not is a different story altogether. Yes, the crazy eyebrow trend is still alive, and the latest one is perfect for the Christmas season. 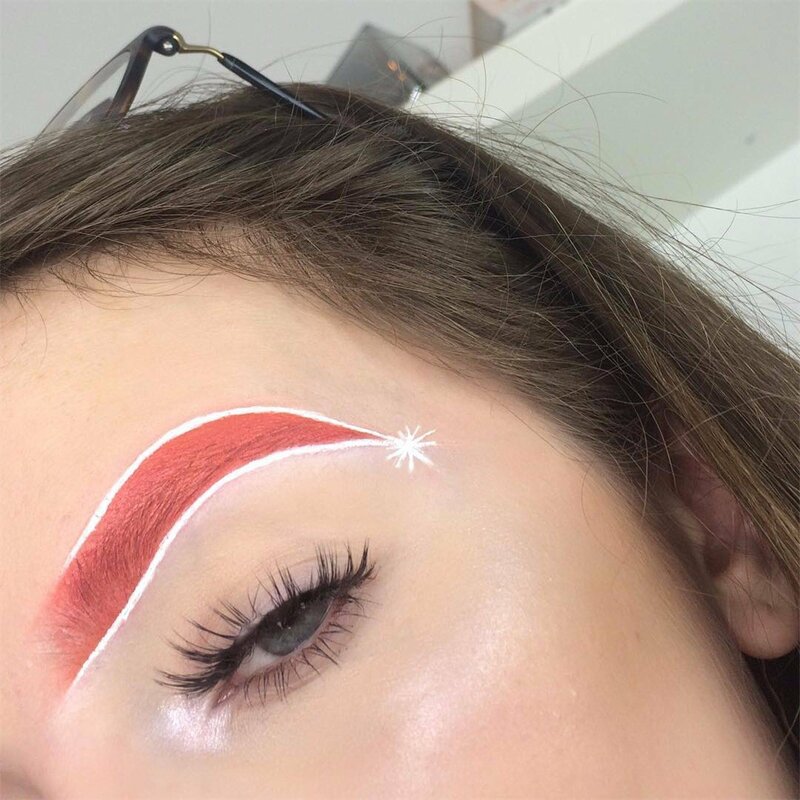 The Santa hat eyebrow has taken over Instagram (as usual) and it transforms your brow into a red and white ensemble. The magic is sealed with the white sparkle or sort of pompom which is supposedly the tip of the Santa hat. If you’d rather keep your brows untouched during the holiday season, you can try this Christmas-themed eyeliner instead. 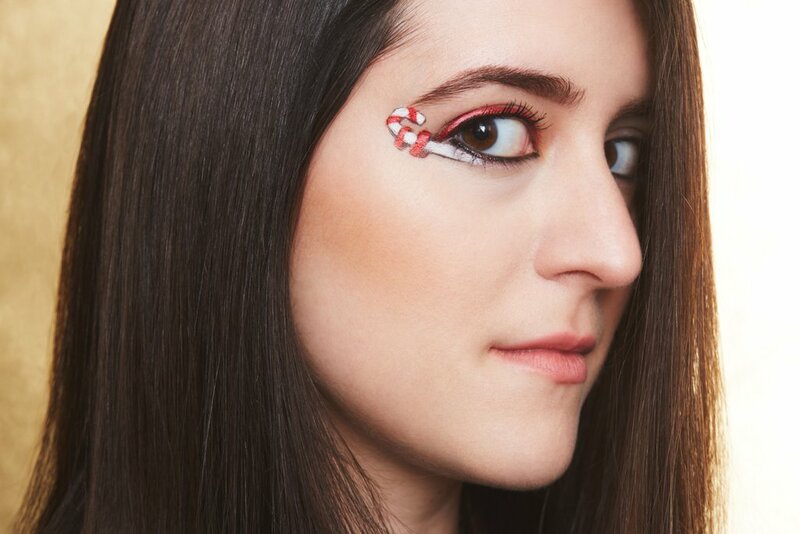 Instead of a cat’s eye, the eye makeup features the classic red-and-white striped sweet treat. According to PopSugar, to ensure you don’t look like someone from the carnival, pair the look with bold brows and ton of mascara. Leave the rest of your makeup light and neutral. 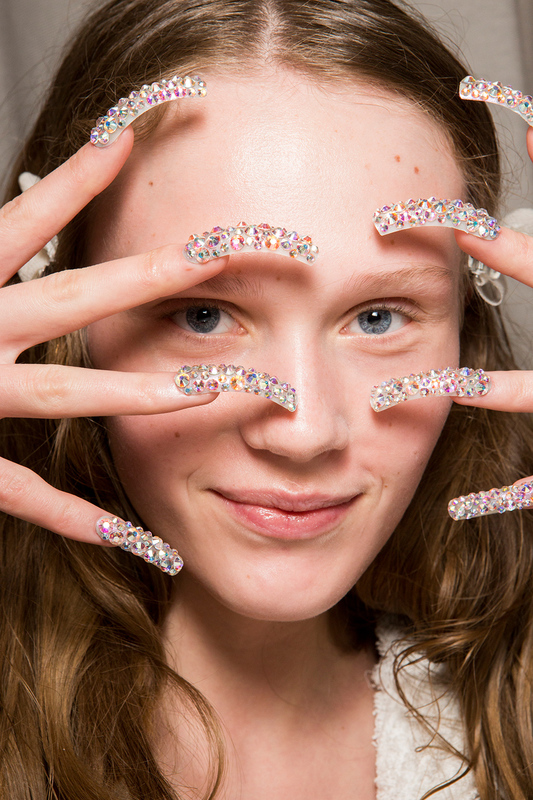 If sparkly nail polish is not enough for you, Gucci’s claw-like nails embellished with crystals might be your cup of tea. This beauty trend is a fancy version of Wolverine’s claws… if you like that sort of thing. 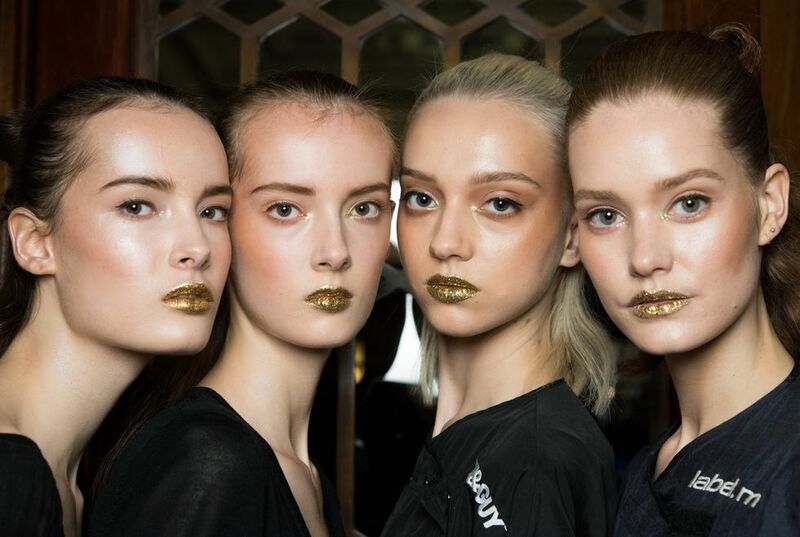 Glittery lips have been a thing even before the holiday season rolled in, but to make the look more festive, you can try Ashley Isham’s glittery gold lips. Pair the look with a highlighter so you literally shine throughout the night!